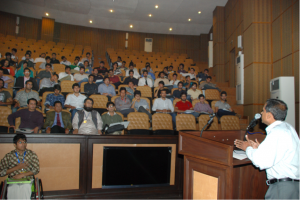 A CD Distribution Event “Ideas for a Free and Responsible Society” was organized by Alternate Solutions Institute at the University of Central Punjab. 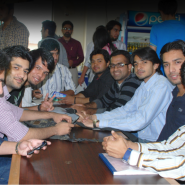 A total of 130 students from various departments and institutes of the University participated in the event. 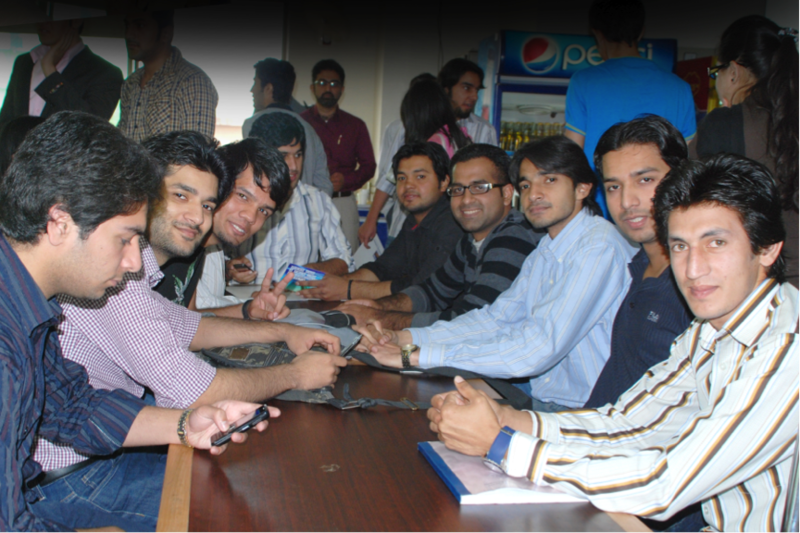 The students attended the event completely at their own will as there was no administrative compulsion on them to attend. The volunteers of the Institute welcomed the participants and distributed file-folders containing a copy of the CD, Registration Form, World’s Smallest Quiz, Essay Competition announcement, amongst the students. Dr. Khalil Ahmad, Executive Director of the Institute, opened the seminar with an introduction of the Institute’s mission and vision, and its recent activities. Mr. Ali Salman, Director Programs, highlighted some of the latest studies done by the Institute including A Study of the Education Voucher Scheme in Lahore. He also dwelled on the theme of the CD as a whole. After the ice breaking session, the students were engaged in ideas of liberty and personal freedom through an interactive session. An animated video on the “Philosophy of Liberty” was shown which had a great impact on the students. A quick summary of the entire philosophy of liberty and personal freedom evoked several issues amongst the students and made them comfortable to ask questions and discuss alternate ideas about liberty, choice and personal freedom: areas usually ignored in our society. The question-answer session was jointly moderated by the two Directors of the Institute. The students were then given a visual tour of the CD. Rare to find articles, important books, which the CD contained, all added to the interest of the students in the CD. The students took part in “World’s Smallest Quiz” which had 5 Multiple Choice Questions related to the Libertarian philosophy. An announcement for an English-Urdu Essay Writing Competition on the topic of “Why is the Rule of Law Valuable?” was made. The Competition will award four prizes to the winners of the Competition. Two prizes of amount Rs. 10,000 and Rs. 5,000 to winners of the English essays and two to the winners of Urdu essays. The deadline for submission of essays is June 30, 2011. The event concluded with a vote of thanks to the University of Central Punjab Management, Mr. Zaeem Yaqoob, Director, Promotion & Placements, and his team. In turn, a token of appreciation in the form of University Souvenirs were offered to Dr. Khalil Ahmad and Mr. Ali Salman. The students were then given refreshments, where the entire A. S. Institute team engaged the students and took informal feedback and remarks for their future programs.